Beautifully Simple! 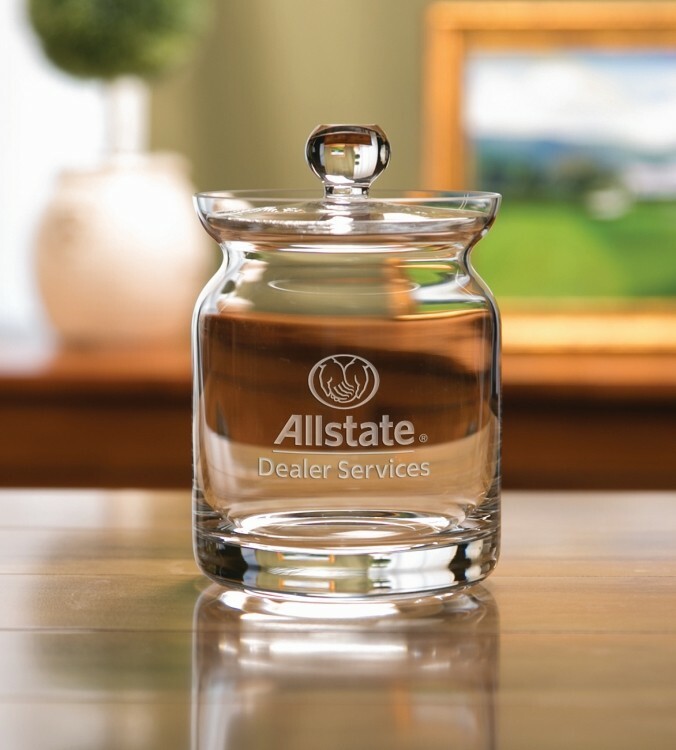 Free Set-Up • Free Monogramming • Free Designer Gift Packaging • Free Rush Service • Free Copy Changes Our crystal boxes are an elegant way to store one's tiny valuables. 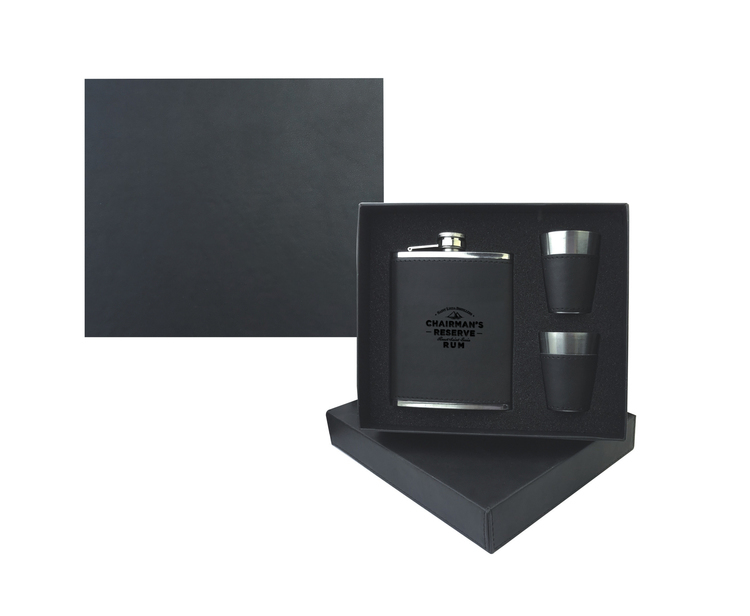 Impressive gifts that will be treasured as much as their contents. 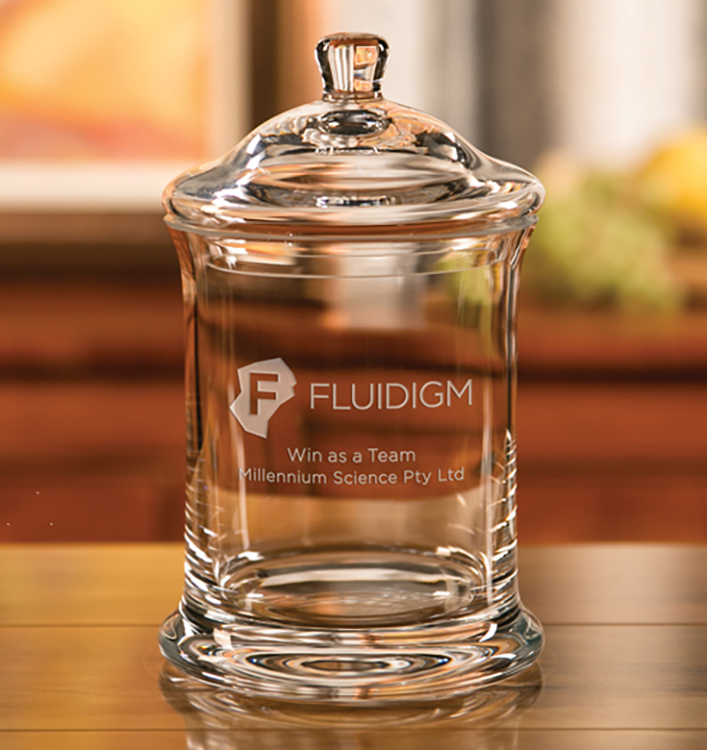 Prices include a deep-etched imprint on the top, No set-up charges, Free monogramming, Free patented designer gift box, Free proof. 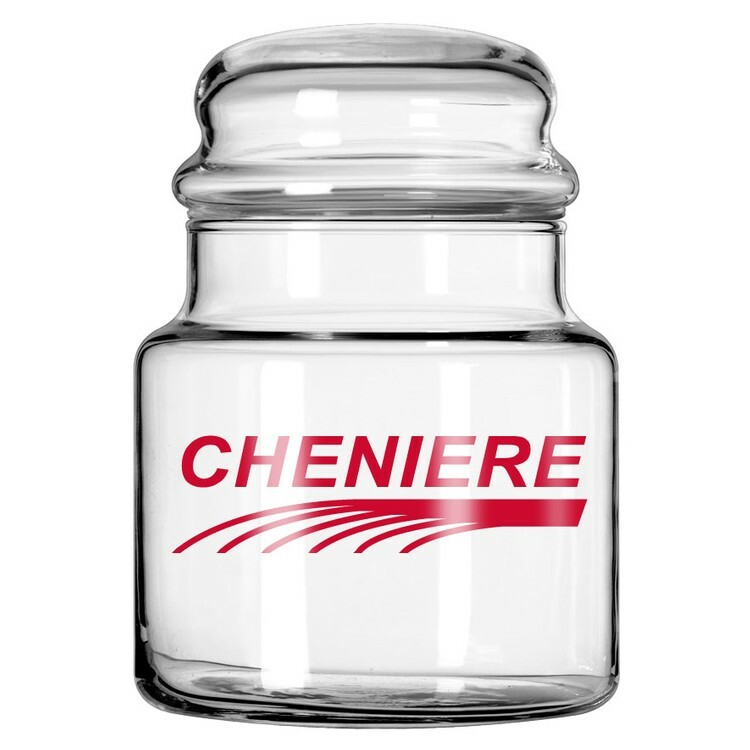 Our Snack Canisters are the ideal solution for the candy lover on a budget. 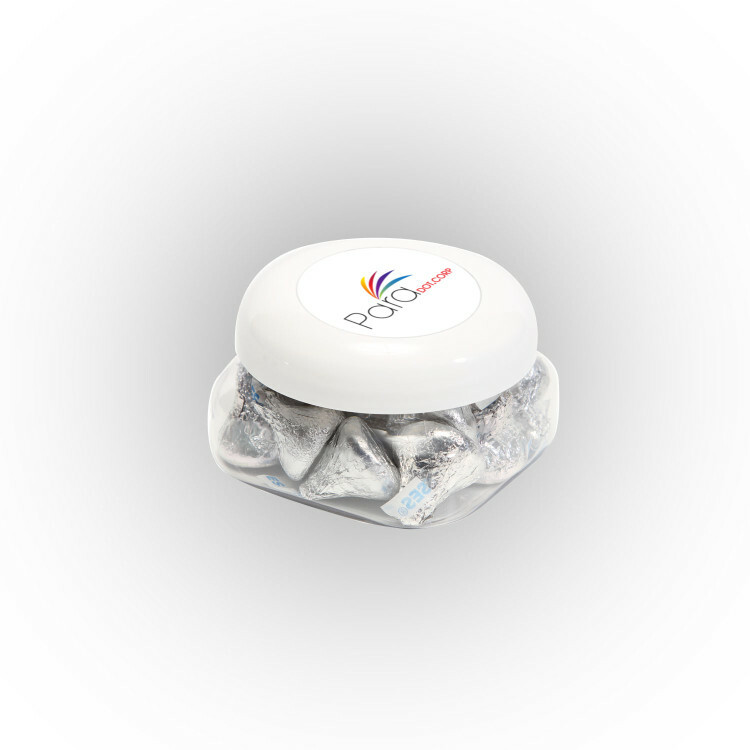 4 ounces of Jolly Rancher candy will be colorfully visible while the artfully printed lid will showcase your logo with pride. Just refill them with more candy when it's gone or use them for any small storage need. 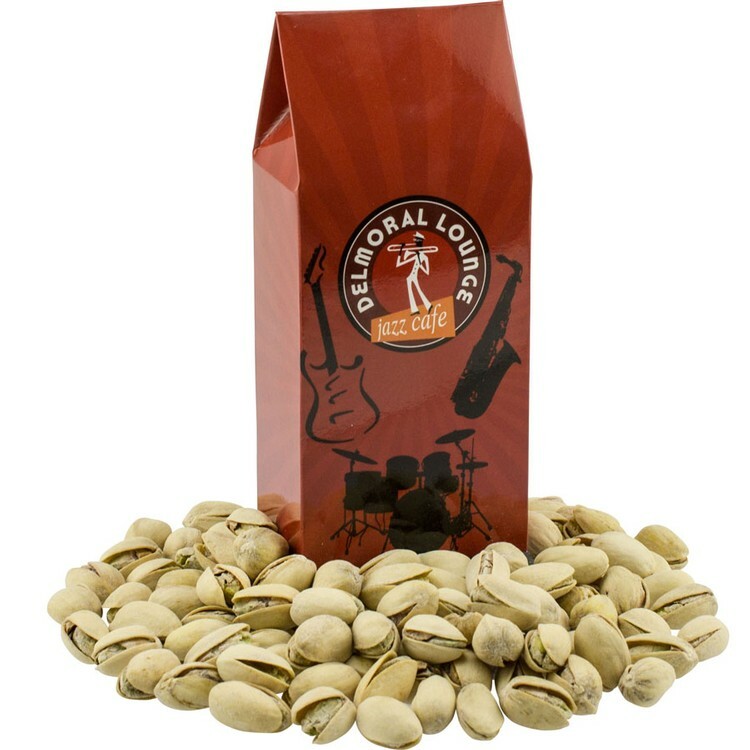 Our Snack Canisters are the ideal solution for the candy lover on a budget. 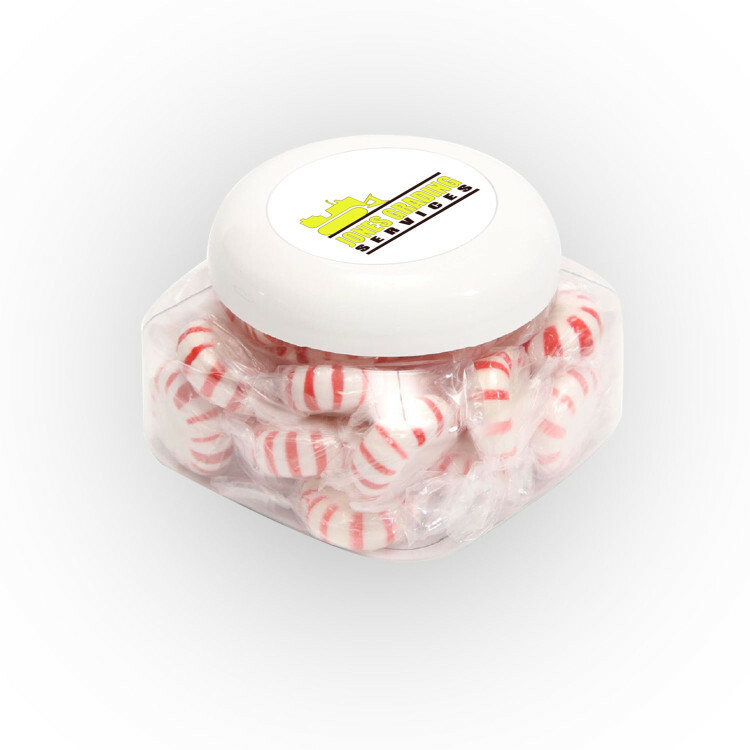 3 ounces of Striped Peppermints will be colorfully visible while the artfully printed lid will showcase your logo with pride. Just refill them with more candy when it's gone or use them for any small storage need. 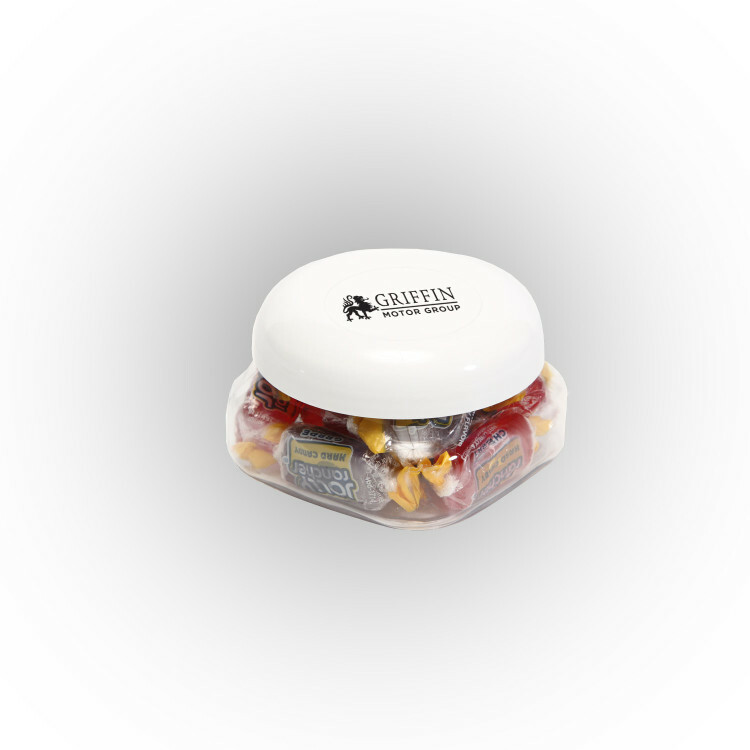 Our Snack Canisters are the ideal solution for the candy lover on a budget. 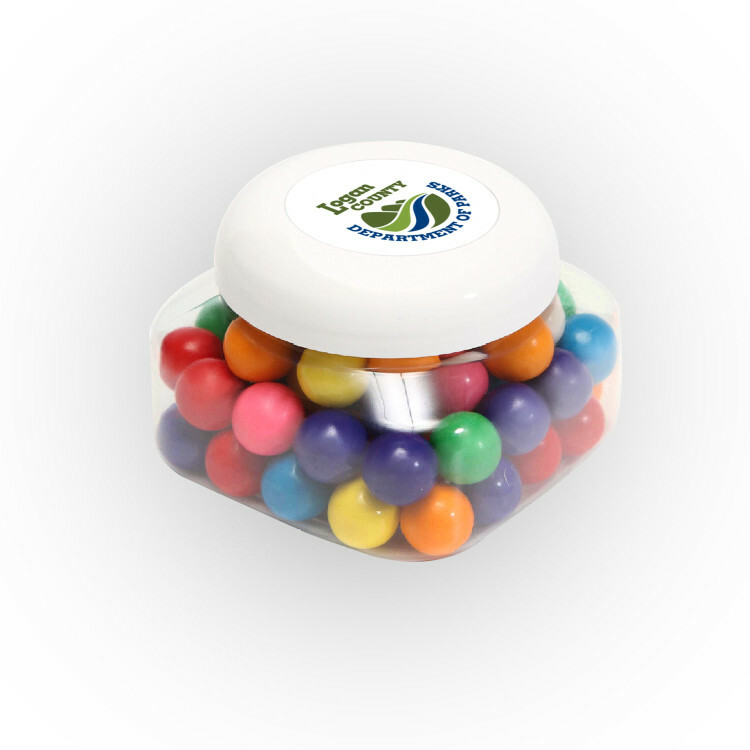 Your 7 ounces of Gum Balls will be colorfully visible while the artfully printed lid will showcase your logo with pride. Just refill them with more candy when it's gone or use them for any small storage need. 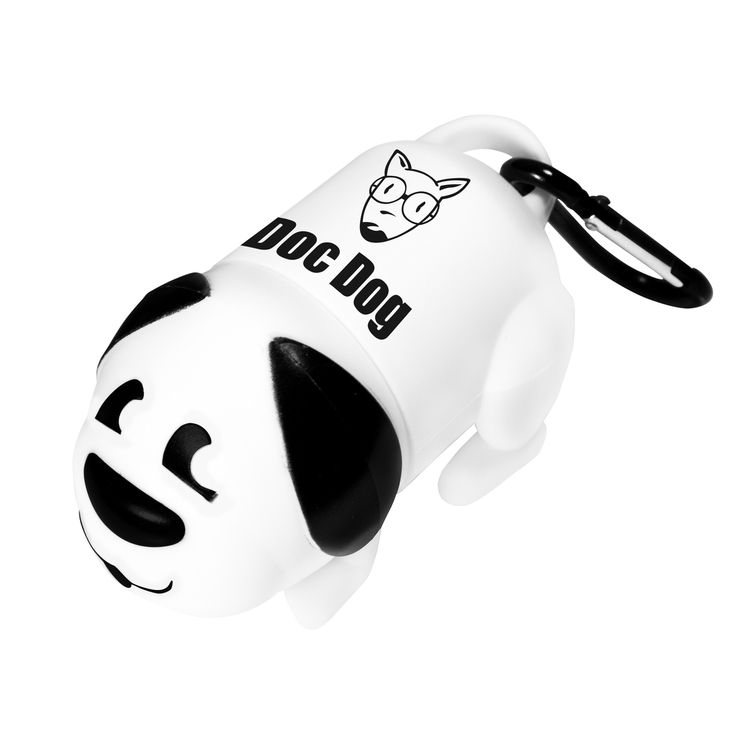 Our Doggy waste bag dispenser comes with a matching, plastic clip that attaches easily to a leash or belt for easy, on the go use. Includes 15 waste bags to clean up after your furry friend. 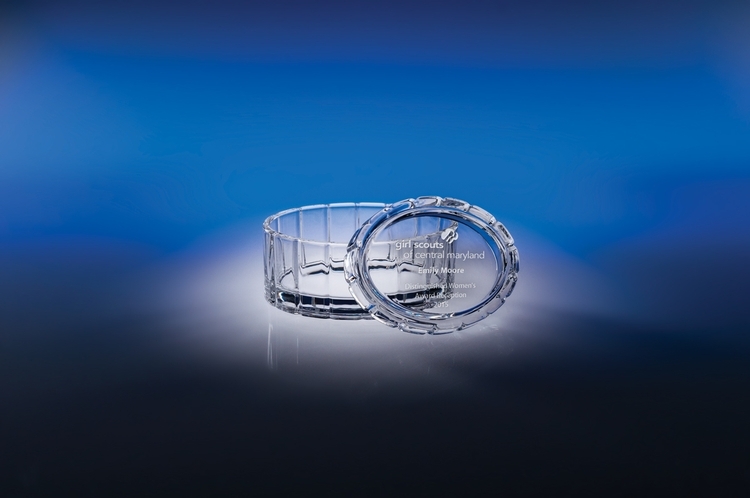 Twists open for easy refill. This item is a fun addition to any situation and for dog lovers everywhere. 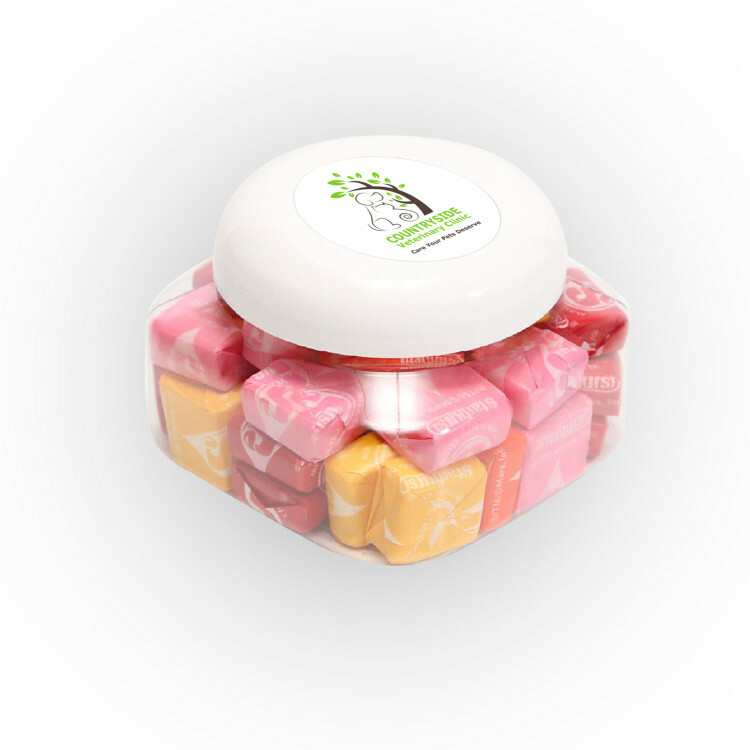 Our Snack Canisters are the ideal solution for the candy lover on a budget. Your 9 ounces of Skittles candy will be colorfully visible while the artfully printed lid will showcase your logo with pride. Just refill them with more candy when it's gone or use them for any small storage need. 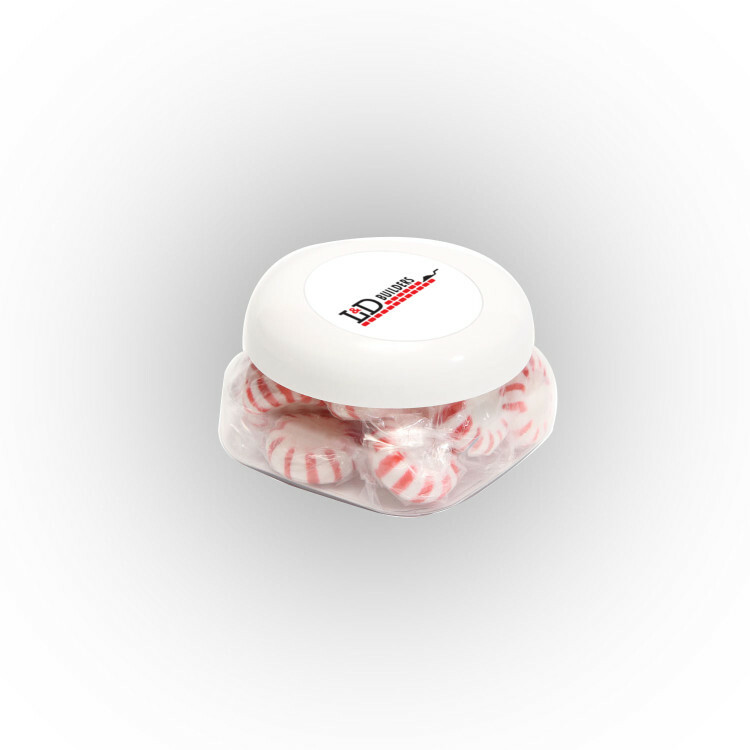 Our Snack Canisters are the ideal solution for the candy lover on a budget. 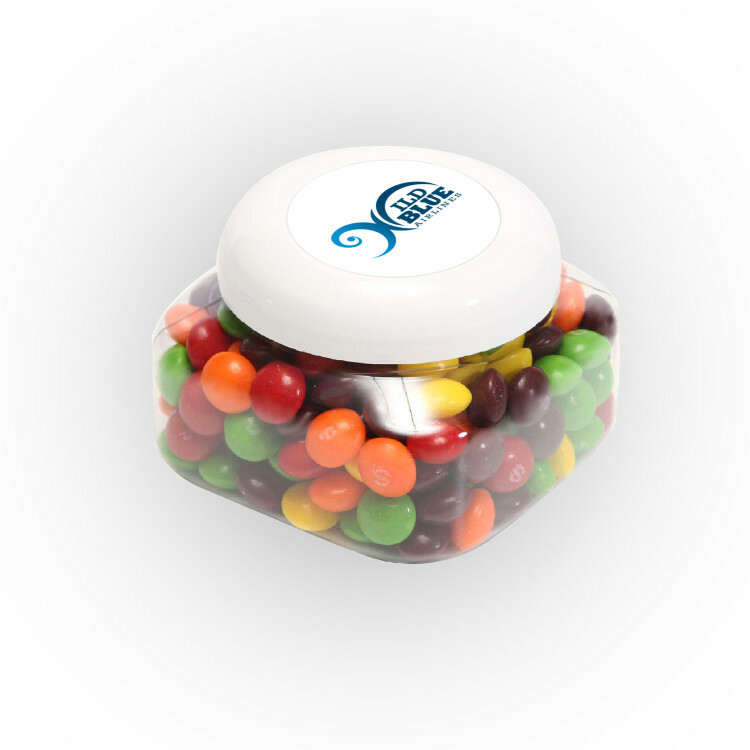 5 ounces of Skittles candy will be colorfully visible while the artfully printed lid will showcase your logo with pride. Just refill them with more candy when it's gone or use them for any small storage need. 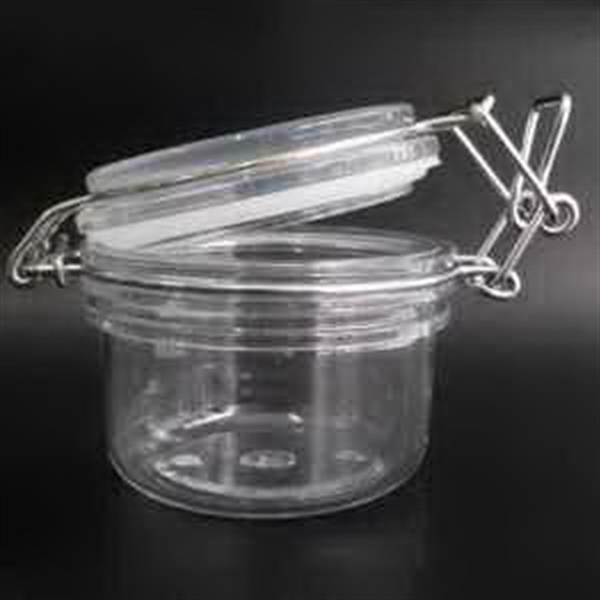 Our Snack Canisters are the ideal solution for the candy lover on a budget. 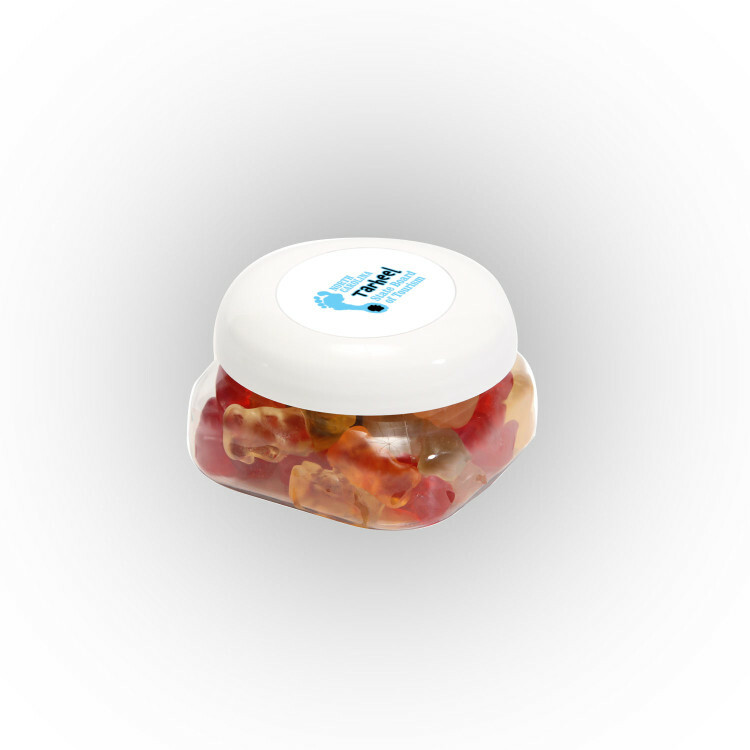 Your 4 ounces of gummy bears will be colorfully visible while the artfully printed lid will showcase your logo with pride. 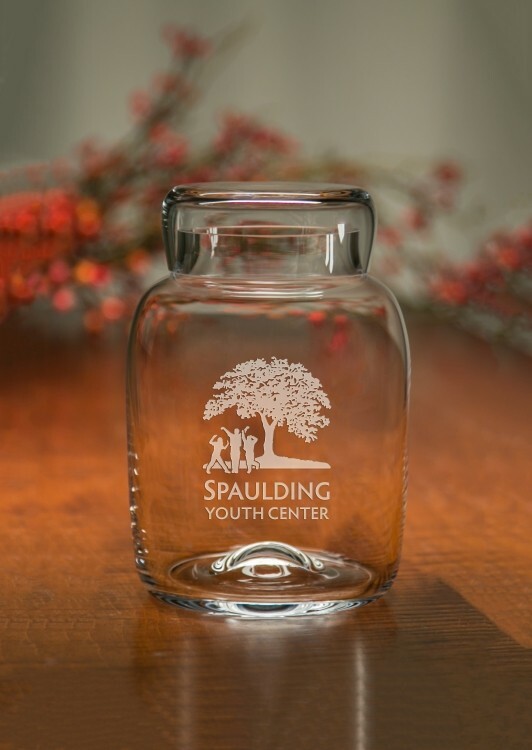 Just refill them with more candy when it's gone or use them for any small storage need.When warm weather conditions apply, some perishable items require special packaging. Transit time for these conditions must be 2 days or less. Please contact Customer Service for details and an applicable freight quote.Our warm weather packaging consists of: Foil insulated sheets in corrugated box with cold packs for $14.99 (transit time must be 2 days or less). 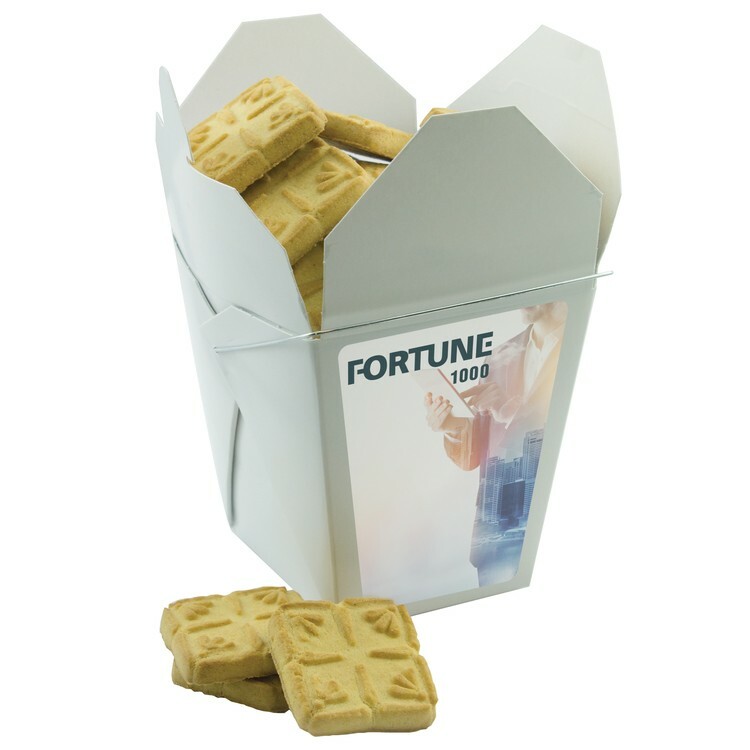 Our Snack Canisters are the ideal solution for the candy lover on a budget. 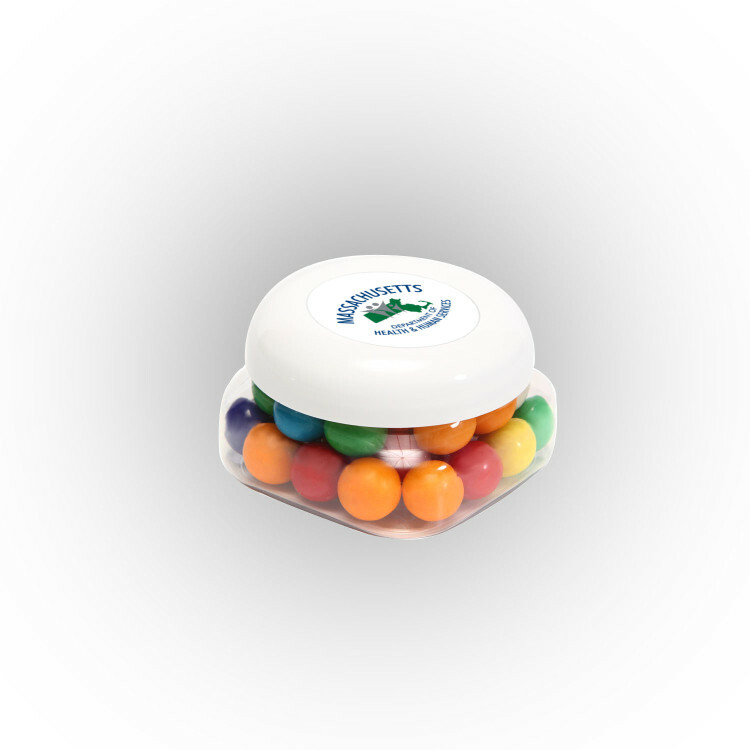 Your 4 ounces of Gum Balls candy will be colorfully visible while the artfully printed lid will showcase your logo with pride. Just refill them with more candy when it's gone or use them for any small storage need. Our Snack Canisters are the ideal solution for the candy lover on a budget. 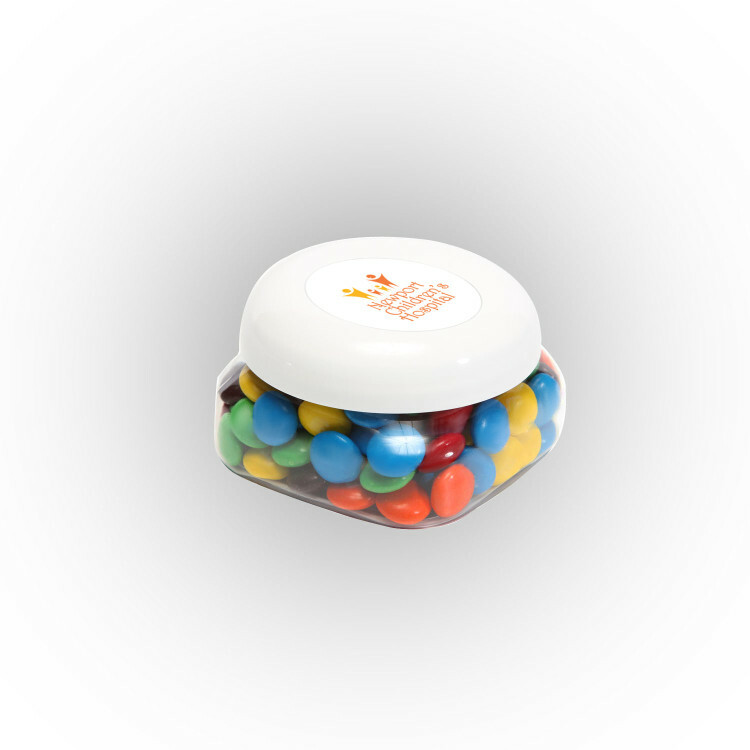 4 ounces of M&Ms will be colorfully visible while the artfully printed lid will showcase your logo with pride. Just refill them with more candy when it's gone or use them for any small storage need.Due to current temperatures, some perishable items require special packaging. Transit time for these items must be two days or less. Please contact Customer Service for details and an applicable freight quote.Our summer packaging consists of:Foil insulated sheets in a corrugated box with cold packs for $14.99 (transit time must be two days or less). Our Snack Canisters are the ideal solution for the candy lover on a budget. 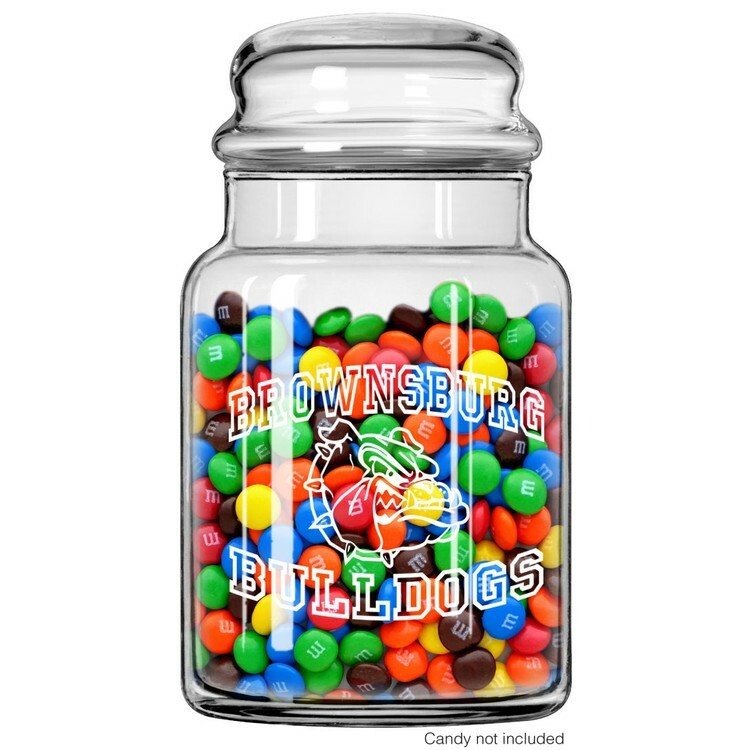 Your 6 ounces of Jolly Rancher candy will be colorfully visible while the artfully printed lid will showcase your logo with pride. 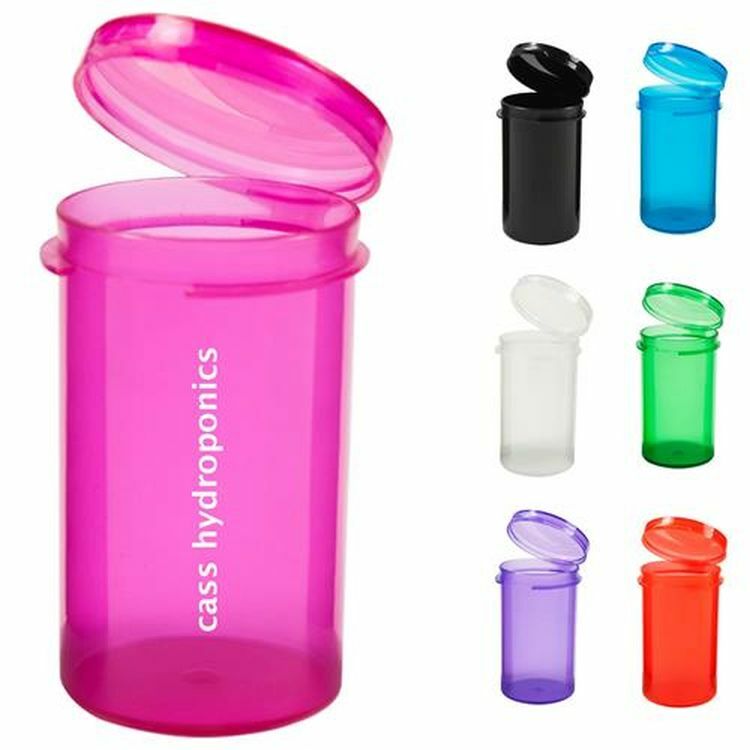 Just refill them with more candy when it's gone or use them for any small storage need..
Our Snack Canisters are the ideal solution for the candy lover on a budget. 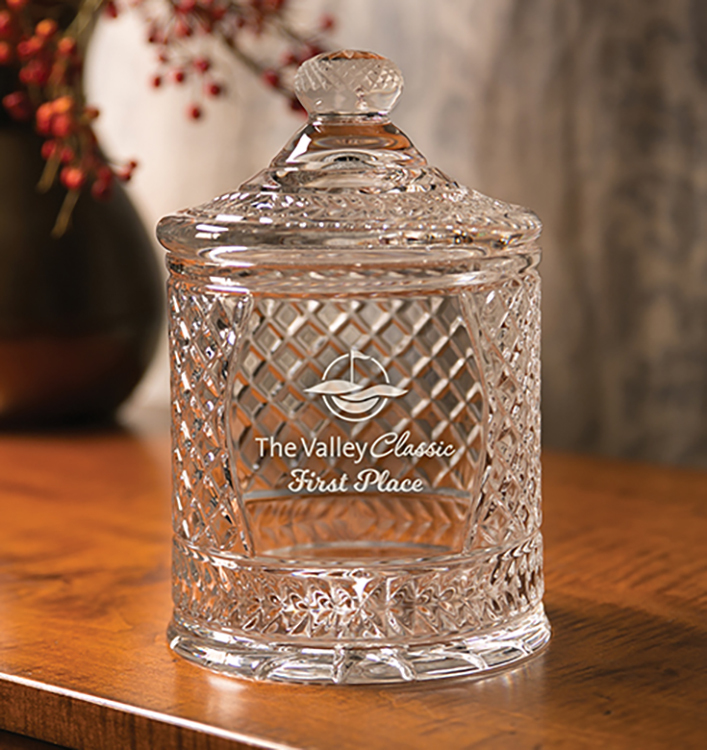 The 4 ounces of Hershey's Kisses inside will be colorfully visible while the artfully printed lid will showcase your logo with pride. Just refill them with more candy when it's gone or use them for any small storage need.When warm weather conditions apply, some perishable items require special packaging. Transit time for these conditions must be 2 days or less. Please contact Customer Service for details and an applicable freight quote.Our warm weather packaging consists of: Foil insulated sheets in corrugated box with cold packs for $14.99 (transit time must be 2 days or less). Our Snack Canisters are the ideal solution for the candy lover on a budget. 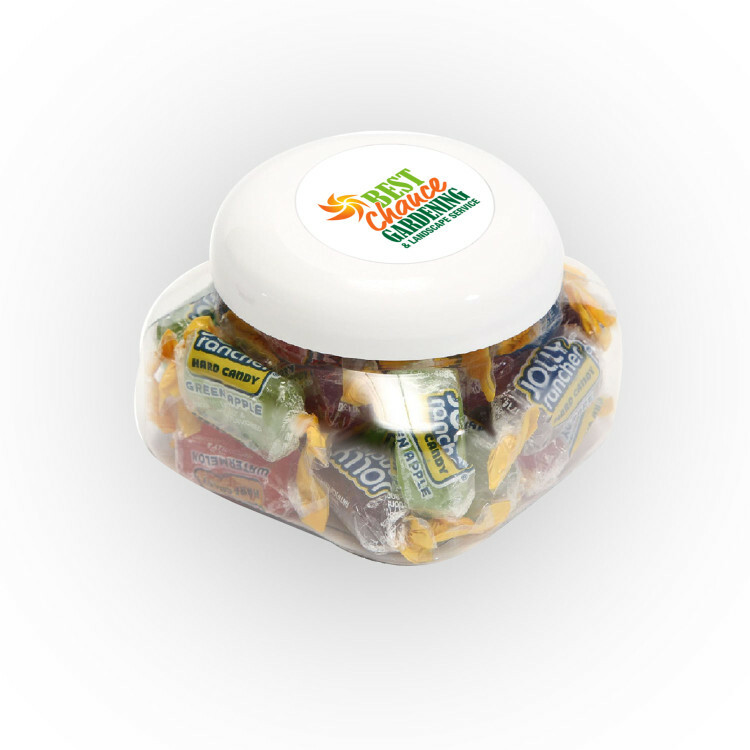 Your 78 ounces of Starburst candy will be colorfully visible while the artfully printed lid will showcase your logo with pride. Just refill them with more candy when it's gone or use them for any small storage need.